A much improved photo of cuffs with wrists (not mine). Taking this photo was the only work I did yesterday, which was a joyous novelty. I sat in the sun, knitted, cuddled the cat, watched tv. Not all at the same time. I really deserved a rest. I finished the residency at Bilston on Saturday with mixed relief and sadness. I have loved being there, working with such nice people and learning and exploring so much. But I will enjoy spending some time at home, and being in my own studio. My list of things to catch up with once the residency was over grows ever longer and as yet, nothing is even in progress from it, but I’m looking forward to the Easter break to have at least a couple of days of painting and sorting out. 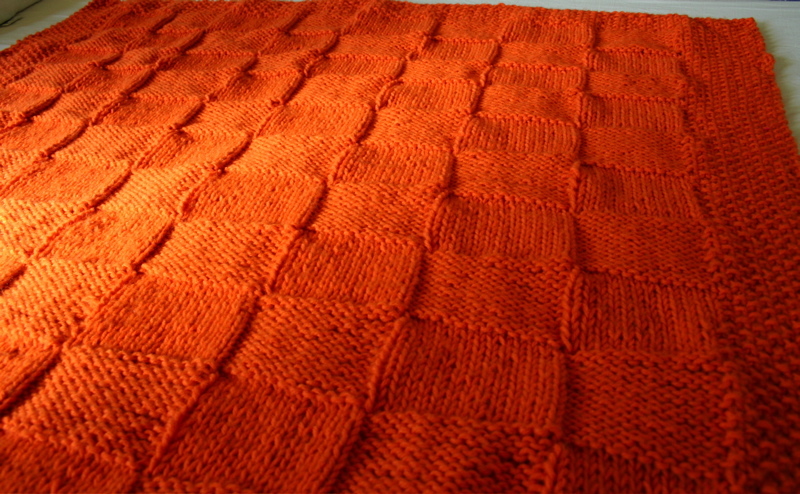 I was delighted to be able to send off this giant orange blanket to my friend who has just had her third child, who was born a bit early, but is fine now. The blanket just kept growing, and is probably big enough to wrap all three children, in gorgeous orange sunshine! The cuffs are great. and look at that blanket – not a stitch out of place! Yummy! The orange blanket makes me happy just looking at it! 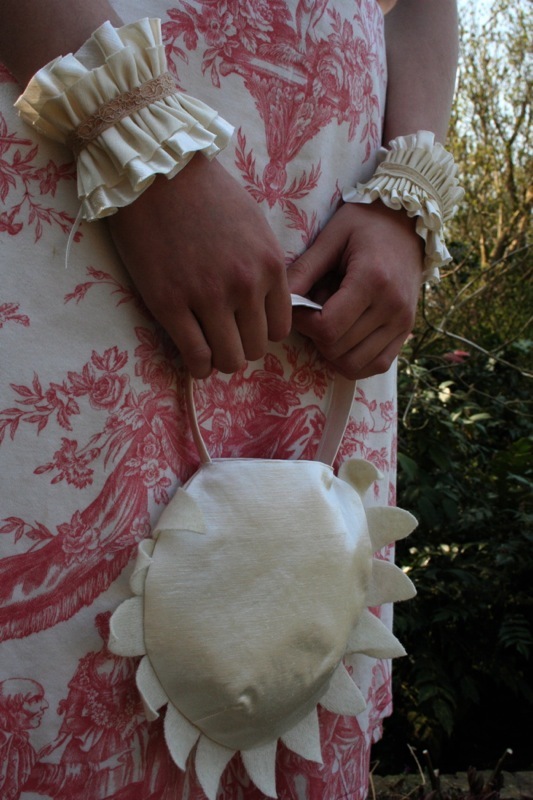 I love the cuffs with the toile dress – so perfect for spring. that is the loveliest looking blanket i think i have ever seen, gorgeous! The baby thinks the blanket is gorgeous too and her brothers think it is great fun to wrap themselves up in it. One very happy friend!